Since in the early hours of Saturday 15th April, MOAS has been involved in the ongoing rescue and assistance of 9 boats, containing an estimated 1,500-1,800 children, women and men between them. Having taken 453 people on board throughout the day, and with the Phoenix at capacity, the MOAS crew were left supervising over 1,000 people still crammed on the remaining boats into the night as they waited for assistance to arrive. With 2,074 rescues conducted in the Central Mediterranean by various search-and-rescue (SAR) assets on Friday 14th, including 134 rescued by the Phoenix, this weekend is set to be the latest marker in the record-breaking escalation of this on-going humanitarian crisis at sea. 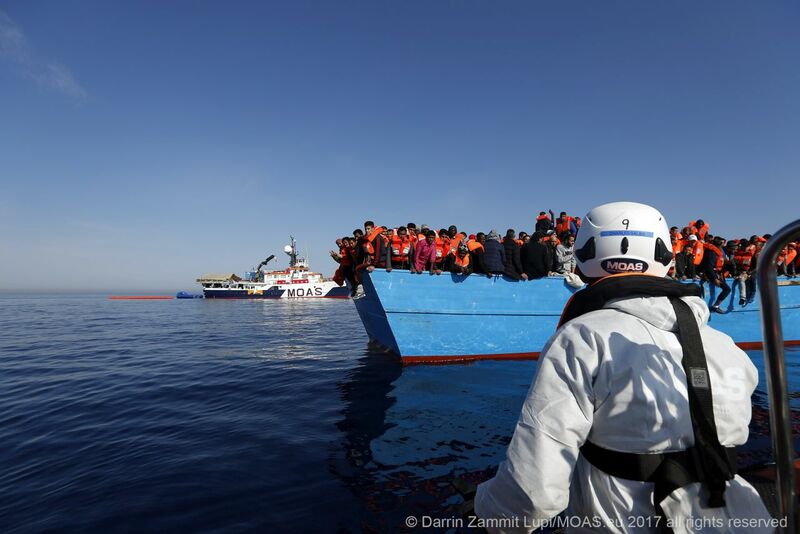 In a 24 hours marathon of continuous rescue operations, which are still underway, the MOAS crew have rescued and assisted people from a total of 9 vessels, including 7 rubber boats and 2 wooden boats. Women, children and medical cases took precedence as 453 people were brought safely on board the Phoenix. As maximum capacity was reached, life jackets, basic provisions and supervision was then administered in the many hours following to the 1000+ who remained stranded on the unseaworthy vessels. As darkness fell weather conditions began to deteriorate and the situation became increasingly delicate. The Phoenix and its crew kept watch throughout the night and into the morning of Easter Sunday, making sure that all those involved in this mass rescue remain safe. “Every day people continue to risk their lives while we, as civil society, stand witness. 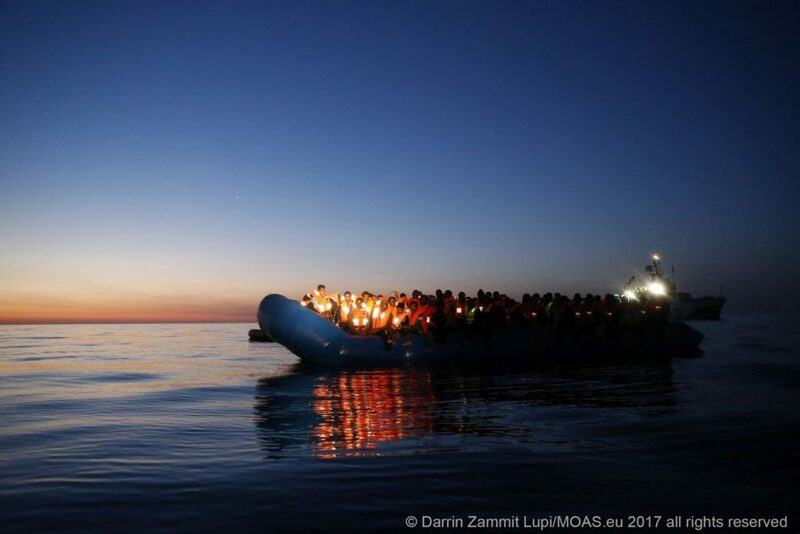 We must continue to call on European governments to act so that people, such as those rescued by us today, do not die, not in Libya nor in the Mediterranean Sea”, said Regina Catrambone, MOAS Co-Founder and Director. This unprecedented situation serves as evidence of the deteriorating humanitarian crisis in the Central Mediterranean. 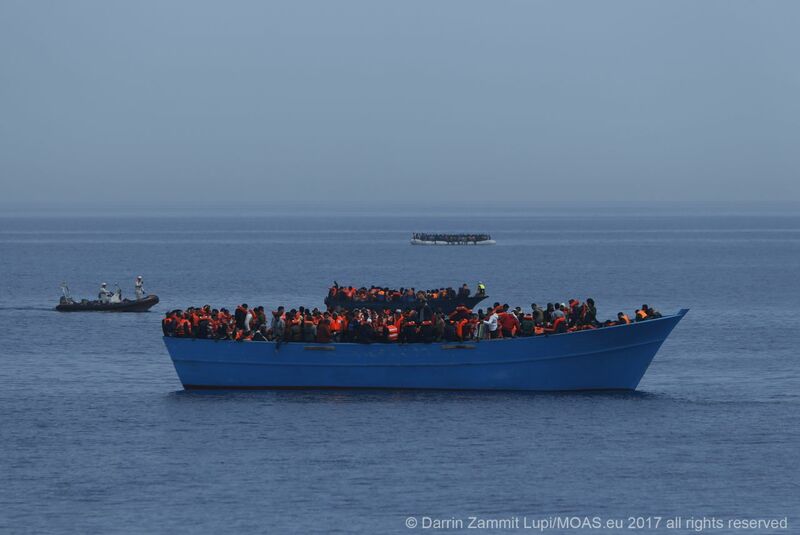 MOAS is a registered charity dedicated to preventing the loss of life by providing professional search-and-rescue services along the world’s deadliest border crossing – the sea. 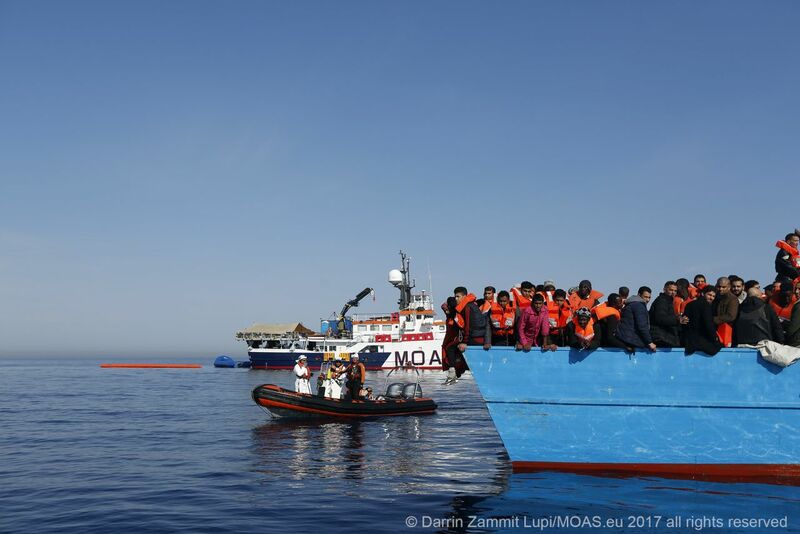 Originally founded as a private initiative in 2014, MOAS was the first NGO to set sail into the Mediterranean with the aim of rescuing migrants and refugees who were making the perilous journey from Libya to Italy. Since then, MOAS has grown into an international organization that has rescued and assisted over 33,000 children, women and men in the Central Mediterranean and Aegean Seas. Currently, MOAS is about to launch its 2017 Search and Rescue mission in the Central Mediterranean Sea. Photos and videos are available from the Reuters wire service.